Website visits can be tracked using our ClickStream technology. But unlike Google Analytics, ClickStream sends the data to your Tall Emu CRM software and when a visitor fills in a form or buys a product through your cart, we then know who this person is. All their referral data (how they found you) and pages that they have visited (what theyâ€™re interested in) are recorded in the CRM against them. 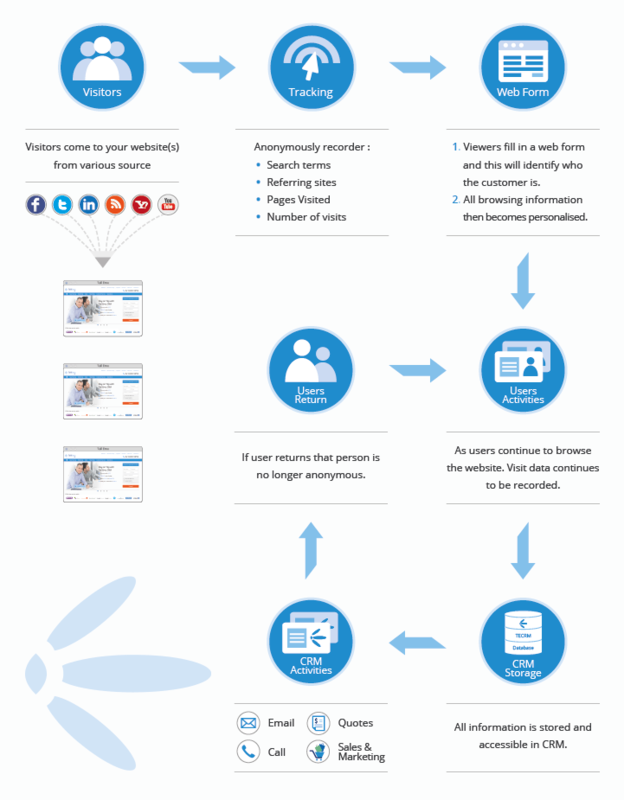 This is really useful for the pre-sales conversation or attributing leads and sales to the originating source. Imagine just before you get on the phone to a lead (that came from a website enquiry form), you could see what the person looked at on your website, and which pages they spent the most time on? Also, with ClickStream, you would also know, what Keywords they used if they came from Google AdWords or through organic (SEO) search. If you sell a lot of services and/or different products this intelligence could speed up the conversation get it focused on the areas of their interest. Let say youâ€™ve sent out a proposal or issued a quote; when do you follow them up? Well, using ClickStream with workflow, you could have your sales person notified when a particular prospect comes back to your website. Also, what they looked at in that visit might tell you just whatâ€™s on their mind or where they are at in the sales process. For instance they may have looked at your page on delivery costs or testimonial page. This would tell you more than the prospect may be prepared to say. All businesses live or die by their ability to get new business, so understanding what brings that new business and each channels contribution to revenue is very important. So if you have ClickStream installed, then anyone that buys from you and has come to you via the web/internet then you can create a report that will tell you which visitor source and / or keyword produced what revenue. Even where a web visitor buys over the phone, as long as they originally came via you website we will be able to attribute the sale to the correct source. Over time the data collected will give you great insight on what channel you \should be spending money on. 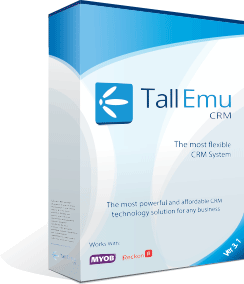 Lead Intelligence using Tall Emu clickstream.